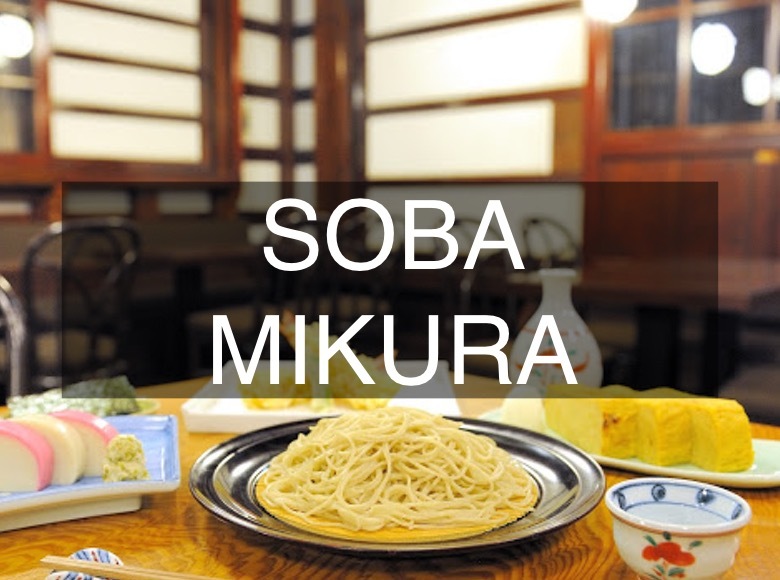 Soba Mikura uses the delicious soba from the Northern Japanese island of Hokkaido with the famed spring water of the Hakone Mountains to make a wonderful homemade soba noodle. 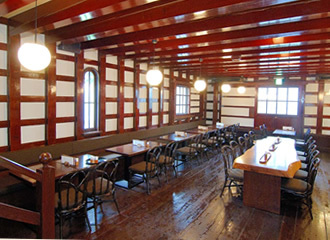 You can enjoy your meal in a renovated traditional Japanese building. The menu let`s you choose from a number of different options. 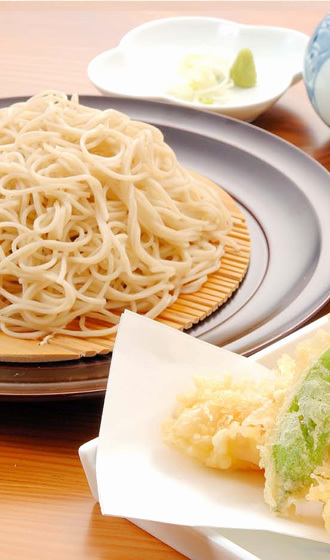 “Zaru Soba” is a refreshing chilled way to eat soba noodles popular in summer. Noodles are dipped in a broth and enjoyed. 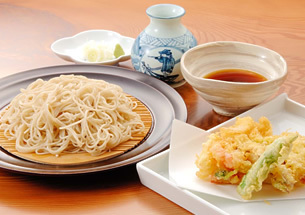 There is also a soba dish with fried Kamaboko and more to choose from. The wonderful surroundings of the traditional building give a wonderful atmosphere to your meal. There are also Udon noodles available. 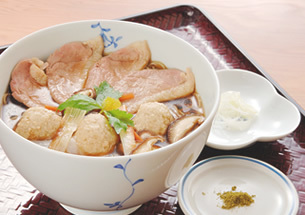 Udon are thick flour noodles that are served in a rich broth. 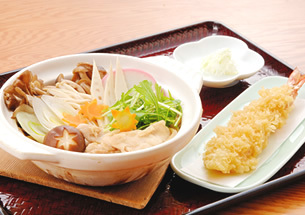 This is a Nabe-Yaki Udon set only served in the winter time to warm you on those cold Japanese days. There are other Udon dishes served throughout the year as well. Soba is also often enjoyed as a hot dish. There are different options to choose from. The one pictured above is hot soba topped with slices of roasted duck and a garnish of the yuzu citrus. Soba Mikura is open from 11:00 to 5:00 with the last order being at 4:30. There are no reservations needed.